The saying goes that “April showers bring May flowers,” but for the eastern half of Canada, someone forgot to turn off the faucet. 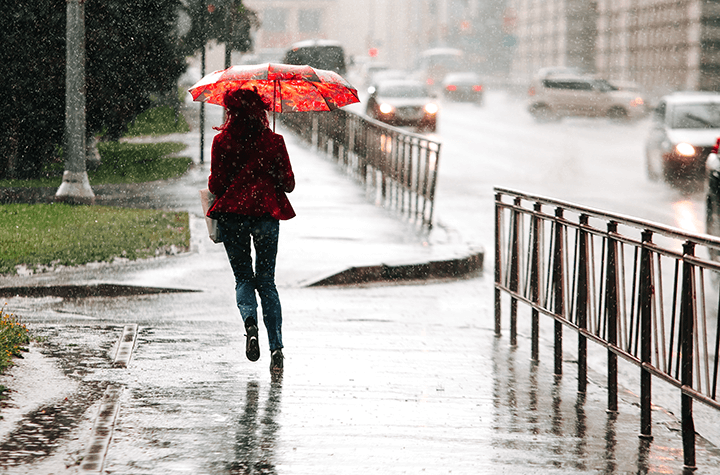 The first few days of the month have been wet, and Ontario, Nova Scotia and Quebec are current waiting out what could stretch to over 60 consecutive hours of precipitation. Forecasts predict the unceasing showers that began early Thursday afternoon will persist straight through to Sunday. Monday is expected to offer a brief respite, but the rest of the week is likely to feature some more rain. While it’s no wonder many Canadians are obsessively checking their location forecast, hoping things change, many are also brushing up on their home insurance policies, fearful that the unwavering downpour may lead to flooding. “The water will get higher, so take precautions,” Laval Police constable Evelyne Boudreau advised, during a talk with CTV Montreal. She added that the police force is ready to assist with preventative measures, such as damming the water with sandbags. Many water-adjacent communities Ontario and eastward are at risk. Beginning in March, Quebec residents were permitted to add flood insurance to their policies. Whether or not that option was taken up, Pierre Babinsky of the Insurance Board of Canada, also speaking with CTV, advises residents fearing a flood to re-examine their policies. But while mass flooding ranks as the strongest possibility for widespread damage, homeowners all over Ontario, Quebec and the Maritimes are wary of destruction on a smaller scale. Basements are terribly a vulnerable entity, while damage to outdoor space is also a concern. Of course, whether is notoriously temperamental, so the dim forecast is not etched in stone. In addition to taking the proper precautions, the ultimate hope of homeowners will be a break in the downpour. And that’s something, homeowner and upper-floor dweller of a high-rise apartment alike can likely agree upon. An end to the rain would certainly be welcomed all around, but as the weather monitors indicate, that may be wishful thinking.